World Cup Series Miami, día 3. 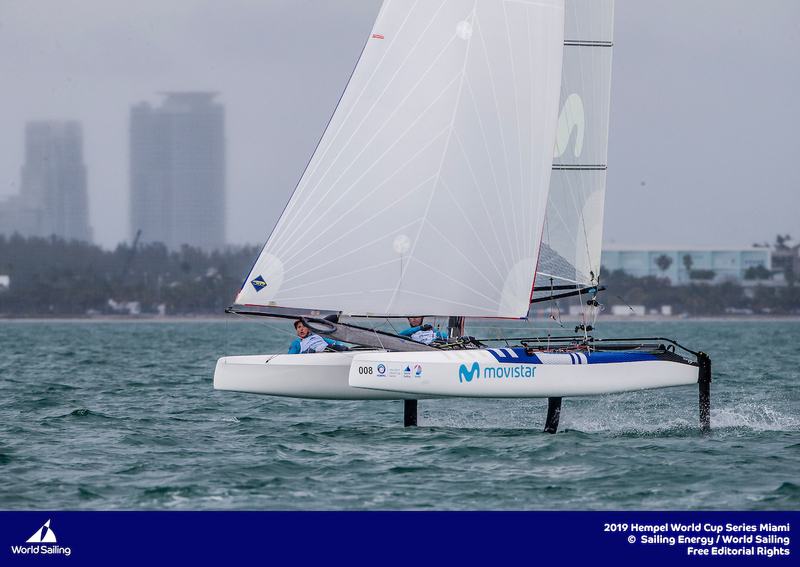 Fresher breezes meant lots of foiling for the Nacra 17 fleet, which ripped through four races today and is on track to complete its scheduled 12 before Saturday’s Medal Race. The increased also restored some normalcy to the standings after a lot of inconsistency over the first five races. The top two boats have started to edge away from the fleet. 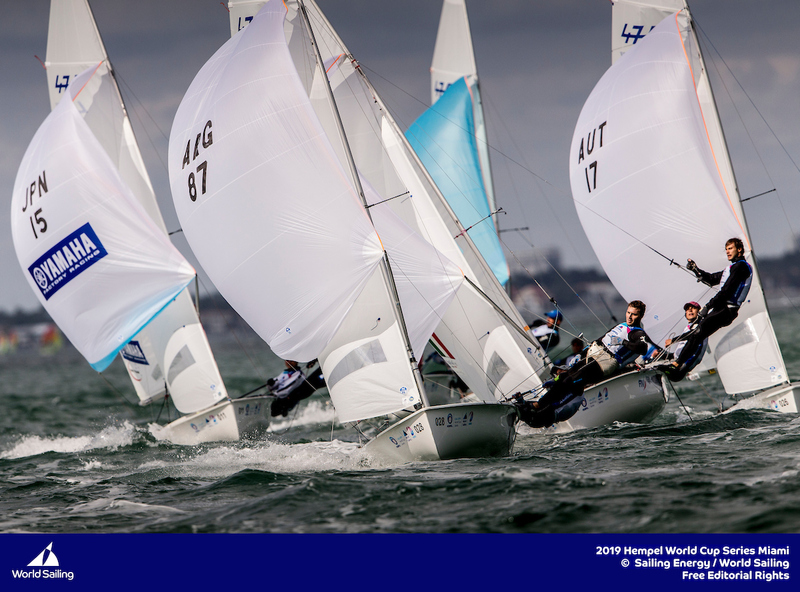 Samuel Albrecht and Gabriela Nicolino de Sá (BRA) maintain the overall lead, but have just four points over Jason Waterhouse and Lisa Darmanin (AUS). Third place, John Gimson and Anna Burnet (GBR) is 16 points further back. Agnieszka Skrzypulec and Jolanta Ogar (POL) won both races on Tuesday but did enough to hold on to their lead. They posted a fifth and a 22nd, which they discard. 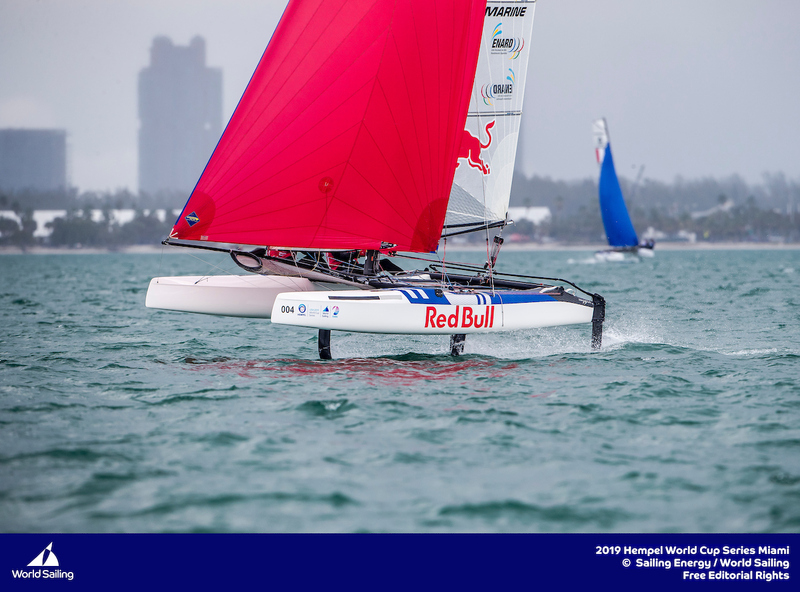 They are on seven points, three clear of Hannah Mills and Eilidh McIntyre (GBR) who won the final race of the day. China’s Mengxi Wei and Yani Xu took the first win of the day and are down in 14th. 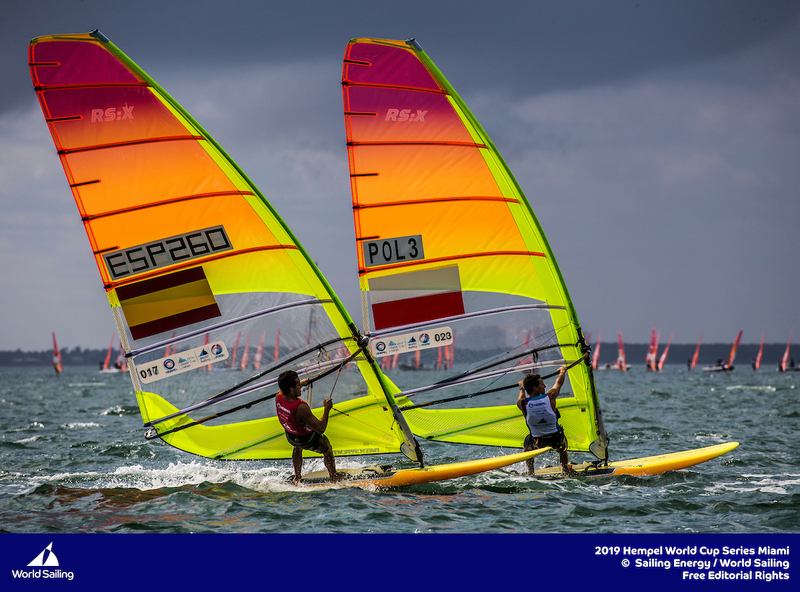 Three races were held but scoring for race seven was under review at 18:00 local time. 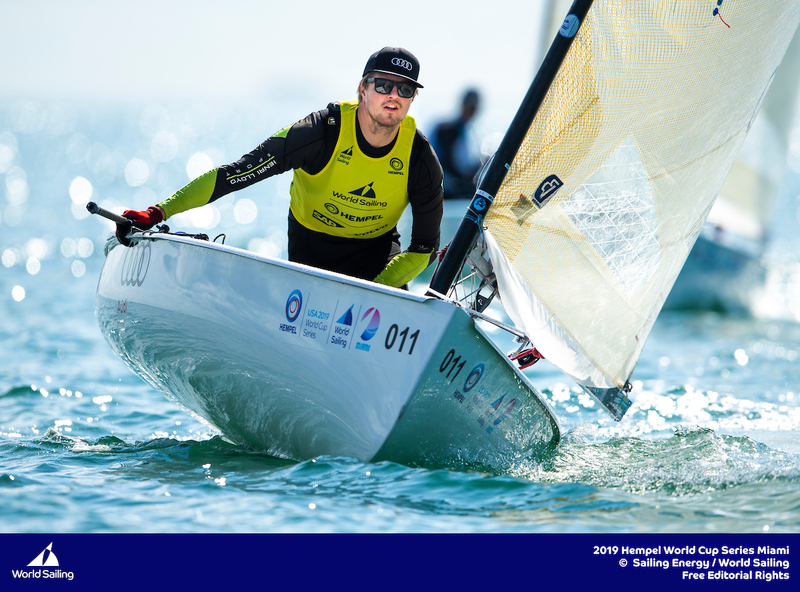 But after race five and six, Norway’s Hermann Tomasgaard was the best performer, continuing his qualification series form in the gold fleet. He finished fifth in the first race of the day and followed it up with a second. 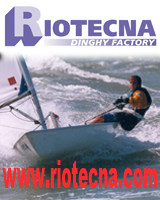 He has a provisional score of fifth in the third race. Tomasgaard’s fifth was his worst result so far and as a result, he discards it. Many of his rivals around him count high scores so the odds are stacked firmly in the young Norwegians favour at this point. Lithuania’s Viktoriha Andrulyte snapped up the other race win and is third.